Sign up to our newsletter for more announcements. This event is presented with support from Sidcot School: Centre for Peace and Global Studies. Soraya, 28, born and raised in Brooklyn, decides to return to live in Palestine, the country her family was exiled from in 1948. On arriving in Ramallah, Soraya tries to recover her grandparent’s money, frozen in an account in Jaffa, but is refused by the bank. She meets Emad, a young Palestinian whose ambition, contrary to hers, is to leave forever. Tired of the constraints that dictate their lives, Soraya and Emad know in order to be free, they must take things into their own hands, even it means breaking the law. In this quest for life, we follow their trail through remains of a lost Palestine. Annemarie Jacir is a poet, director and activist. Her films include shorts, documentaries and features. Her most recent film When I Saw You (2012) was Palestine’s 2013 entry to the Oscar’s and winner of numerous awards including best asian film at Berlin International Film Festival and best Arab film at Dubai International Film Festival. Jacir grew up in Saudi Arabia until the age of sixteen when she when to the United States to undertake higher education. From 1974 to 1987 she divided her time between Saudi Arabia and Palestine before finally settling in Palestine in 1992. She has been living in Jordan since 2007, when she was denied entry to Palestine. Her career in cinema began as an editor and camerawoman, working in Los Angeles before attending Columbia University in New York to obtain an MFA in Film Studies. Along with Hamid Dabashi she co-founded the ground-breaking Dreams of a Nation project dedicated to the promotion of Palestinian cinema, of which she acted as chief curator. In 2003 she organised the largest travelling film festival in Palestine which included the screening of several archival Palestinian films. 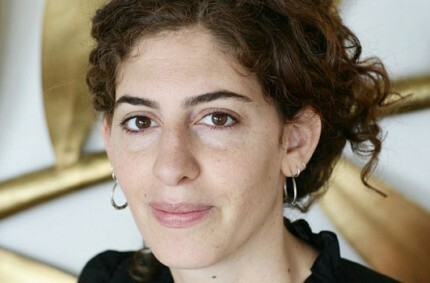 Among her films are: Salt of this Sea, Sound of the Street, An Explanation: (and then burn the ashes), A Few Crumbs for the Birds, Until When, Like Twenty Impossibles, Palestine is Waiting, The Satellite Shooters, Two Hundred Years of American Ideology, A Revolutionary Tale, and a Post-Oslo History.